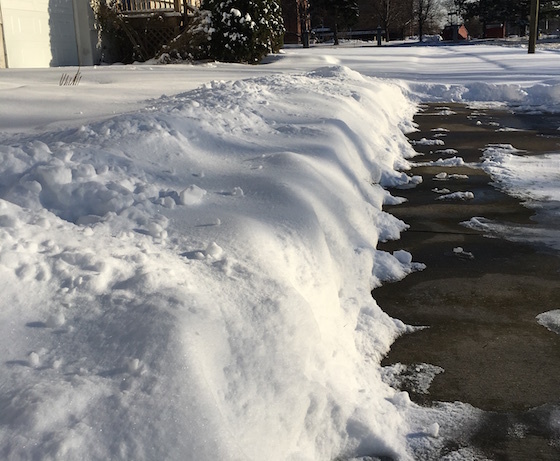 I live in the state of Michigan in the United States, and there is one thing that happens every winter. And that is we get snow! For those of you who have never experienced snow, let me tell you it means cold weather. Some people like the snow, and usually they will say that it is pretty. Other people don’t like the snow because of the cold weather that goes with it. I really don’t like the snow. It is pretty, but when it snows, then it’s difficult to drive. Also I have to shovel the snow so that you don’t slip and fall. In general a lot of snow makes everyday life more difficult. Last week there was a large snowfall, so I decided to make a video to share with you. So if you live in a place where you don’t get any snow, here’s a video for you! Have you ever experienced snow? Do you like it? Leave a comment and let me know! Vivo en el estado de Michigan en los Estados Unidos, y hay una cosa que sucede cada invierno. ¡Y es que tenemos nieve! Para aquellos de ustedes que nunca han experimentado la nieve, déjenme decirles que significa tiempo frío. A algunas personas les gusta la nieve, y generalmente dirán que es bonita. A otras personas no les gusta la nieve debido al clima frío que la acompaña. Realmente no me gusta la nieve. Es bonita, pero cuando nieva, es difícil manejar. También tengo que palear la nieve para que no se resbale ni se caiga. En general, mucha nieve dificulta la vida cotidiana. La semana pasada hubo una gran nevada, así que decidí hacer un video para compartir contigo. Entonces, si vives en un lugar donde no tienes nieve, aquí tienes un video para ti. ¿Alguna vez has experimentado la nieve? ¿Te gusta? Deja un comentario y déjame saber!